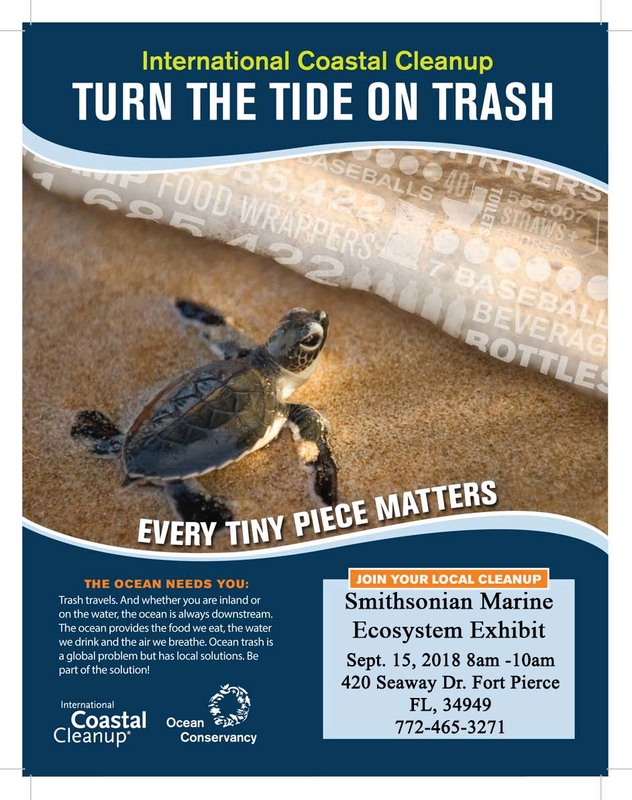 Join the Smithsonian Marine Ecosystems Exhibit for International Coastal Cleanup Day! This event brings thousands of people together to collect trash located on or in coastal waterways. Last year, the Ocean Conservancy reported that this worldwide event helped to remove approximately 20 million pieces of trash from beaches and waterways. Come help us remove trash from South Beach Causeway! Please meet us at the St. Lucie County Aquarium at 8 a.m. to receive gloves, recycled trash bags, buckets, and sunscreen. If you are able to do so, please bring your own reusable gloves and reusable water bottles. Thank you!